American congressmen overwhelmingly adopted legislation imposing a new raft of strict sanctions on North Korea. 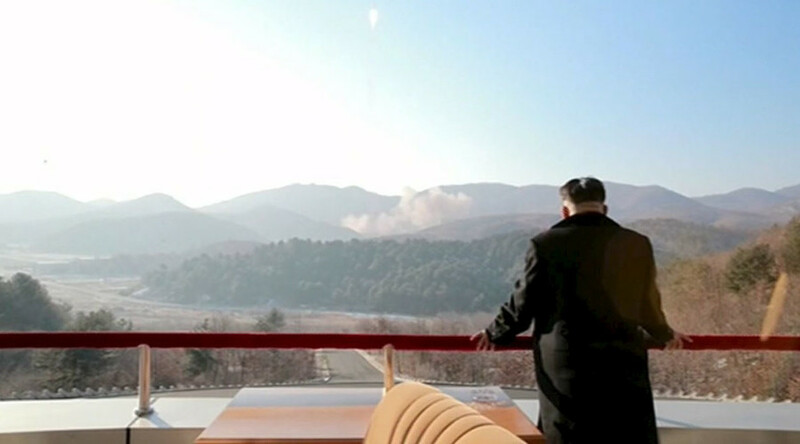 The bill, prompted by Pyongyang’s alleged nuclear test and controversial rocket launch, has been sent to President Obama for approval. In a demonstration of rare bipartisan support, the House of Representatives passed the North Korea Sanctions Enforcement Act of 2016 in a 408-2 vote on Friday, just two days after the Senate had approved it, 96-0. The new round of sanctions is intended to deprive North Korea of the financial resources it needs to develop nuclear warheads and long-range missiles that could deliver the country’s nuclear weapons. “This bill sends the message to the regime in North Korea that they must reform and they must disarm this nuclear weapons program. By cutting off the regime’s access to the money it need for its army and its weapons, the bill will return us to the one strategy that has worked: financial pressure on North Korea,” the bill’s sponsor, Ed Royce, who is the Republican chairman of the House Foreign Affairs Committee, said, as quoted by AP. The bill envisages blacklisting anyone who is involved in, facilitates, or contributes to North Korea’s nuclear and missile programs. It also sanctions those who do business with North Korea connected to arms-related materials, the luxury goods trade, human rights abuses, cyber-attacks, or other illegal activities. The potential penalties range from a seizure of assets and visa bans to denial of government contracts, Reuters reports. It also hits Pyongyang’s trade in minerals and precious metals, which is a one of the country’s key sources of hard currency. The legislation also authorizes spending $50 million over the next five years on communications equipment and radio broadcasts into the country in order to give North Koreans better access to alternative media sources, as well as to support humanitarian assistance programs and refugees. The new sanctions bill comes less than a week after North Korea launched what it called a satellite into space. Others suspect the launch was actually a long-range missile test. Pyongyang also claimed it tested a hydrogen bomb at the beginning of January, although many, including the US, are skeptical. The move also comes at a time when the US and China are negotiating over a UN Security Council resolution that aims to impose new sanctions on North Korea on account of its recent nuclear bomb test and a satellite launch. China argues that extremely strict sanctions could devastate North Korea’s economy. “This fourth nuclear weapons test and this latest ICBM test over the weekend ... has focused the attention of the members of the Senate and the House on the fact that the administration’s policy of strategic patience is not working and that we have to take concerted action,” Royce said, as quoted by the Hill. “It is a goal to get North Korea to the table, but we must be serious about applying the sanctions,” he added. The bill is now due to be signed by president Obama, who intends to review the legislation, but is not expected to veto it. “I think this is an area where we and Congress are in the same space and agree on the need for increased sanctions,” Ben Rhodes, Barack Obama’s deputy national security adviser, said on Thursday, as quoted by AP. 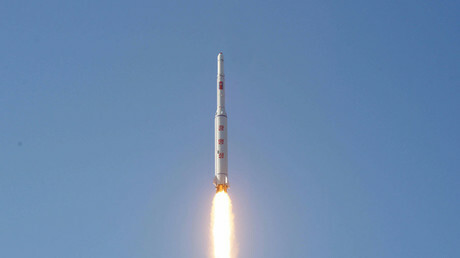 On February 7, North Korea claimed that it had successfully sent an earth observation satellite into orbit on board a “carrier rocket Kwangmyongsong,” stressing that it was “legitimately exercising the right to use space for independent and peaceful purposes” and planning to send more satellites into space. This launch was criticized globally as a long-range missile test, with US National Security Adviser Susan Rice calling it “a serious threat” to American interests. Russia’s foreign ministry accused Pyongyang of acting against the norms of international law. China’s defense ministry also criticized the rocket launch, pointing out that it had been North Korea’s “second violation” of UN resolutions in just over a month. The UN Security Council also strongly condemned North Korea’s rocket launch and promised to pass a new resolution in response, UNSC President Rafael Ramirez said. However, the resolution has not yet been adopted. In response to the launch, South Korea agreed to start negotiations with the US on the possible deployment of the Terminal High Altitude Area Defense (THAAD) system on its territory. International experts confirmed that North Korea apparently had conducted another nuclear weapons test, but doubted if it had really involved an H-bomb. According to Lassina Zerbo, Executive Secretary of the Comprehensive Nuclear-Test-Ban Treaty Organization, the explosion had not been powerful enough for an H-bomb. 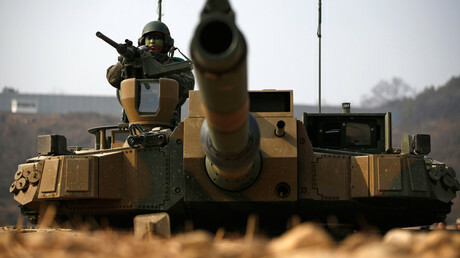 Sanctions were first imposed on North Korea in 2006 after it tested its first nuclear bomb, having withdrawn from the Non-Proliferation Treaty in 2005. Since that time, sanctions have been repeatedly imposed by the UN Security Council, the EU, the US, and some other countries. They mostly prohibit selling weapons and nuclear materials, as well as luxury good and dual-use technologies, to the North Korean government and to companies affiliated with it.